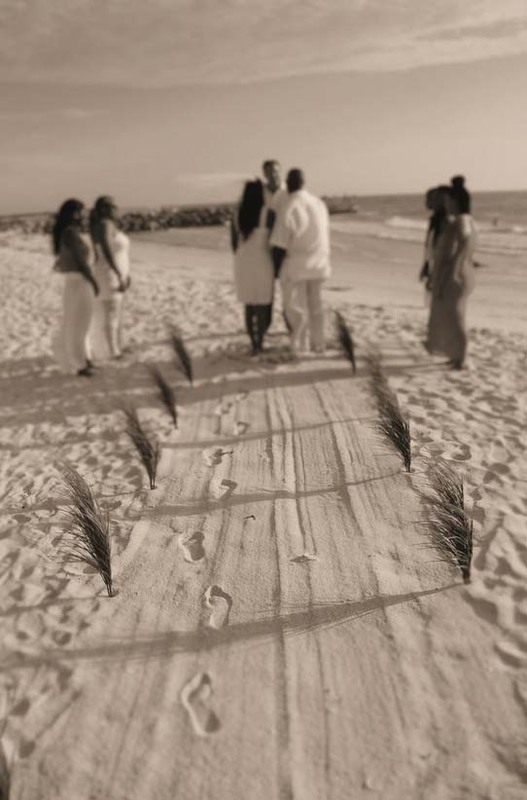 The Gulf of Mexico lies just ahead. 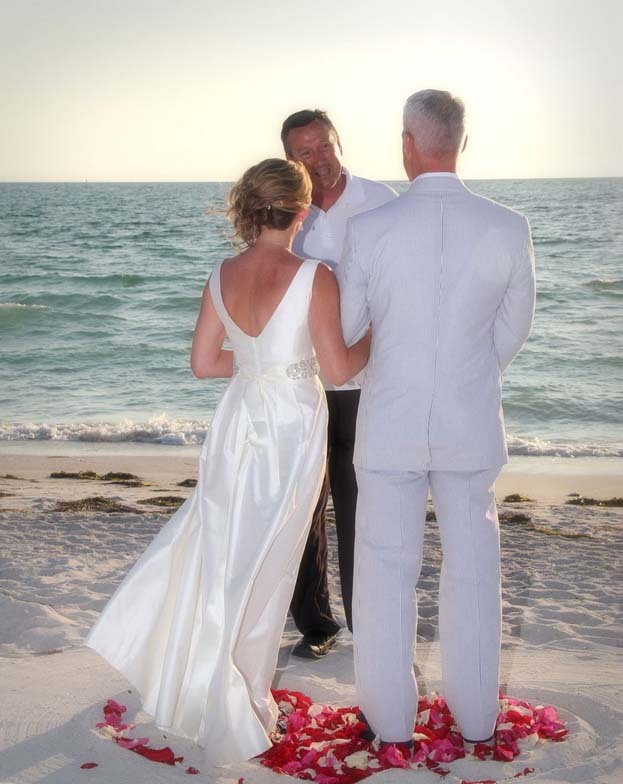 The waves lap against the shore and it is time to say "I Do". 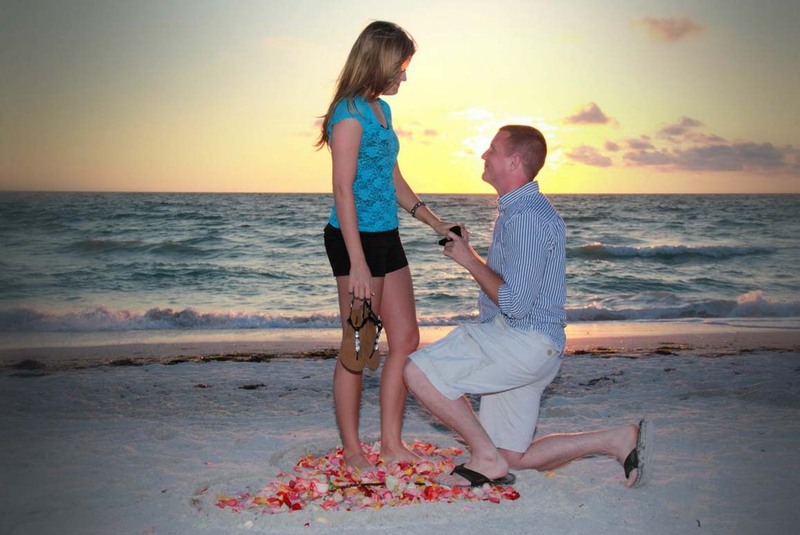 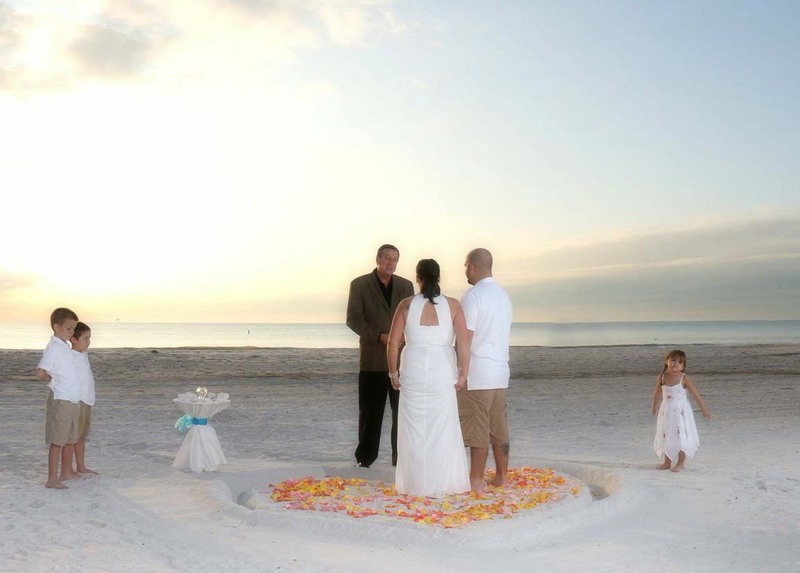 Our Gulf Beach Package is designed to be intimate and affordable. 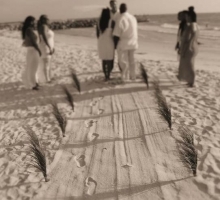 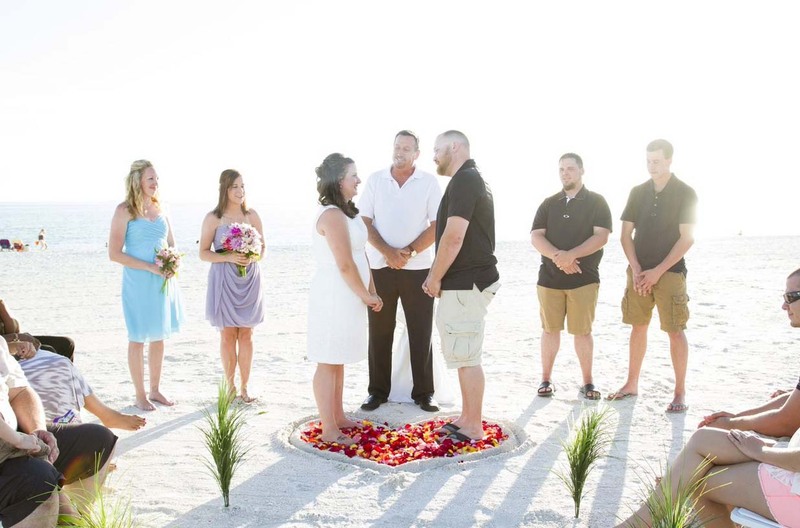 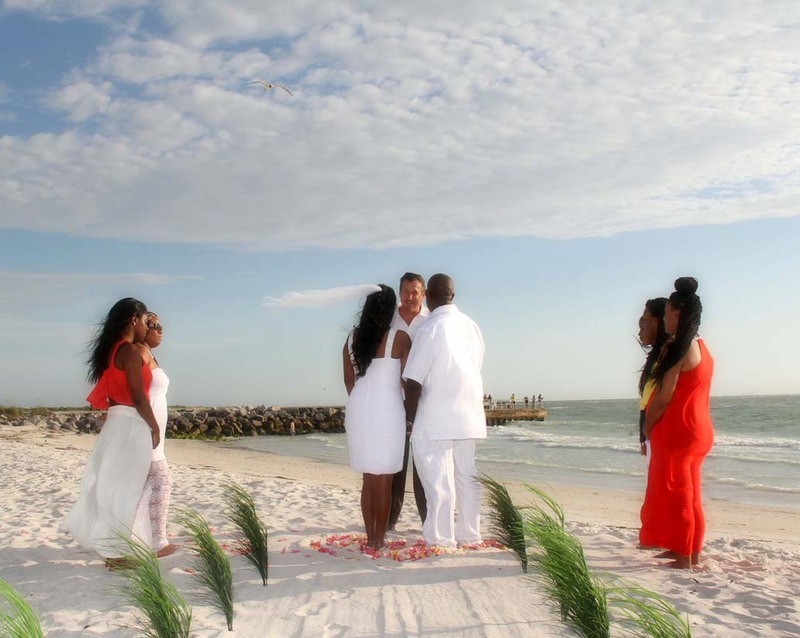 If you've dreamed about the sand between your toes and the waves lapping against the shore, then it only takes two people in love to make this ceremony perfect. 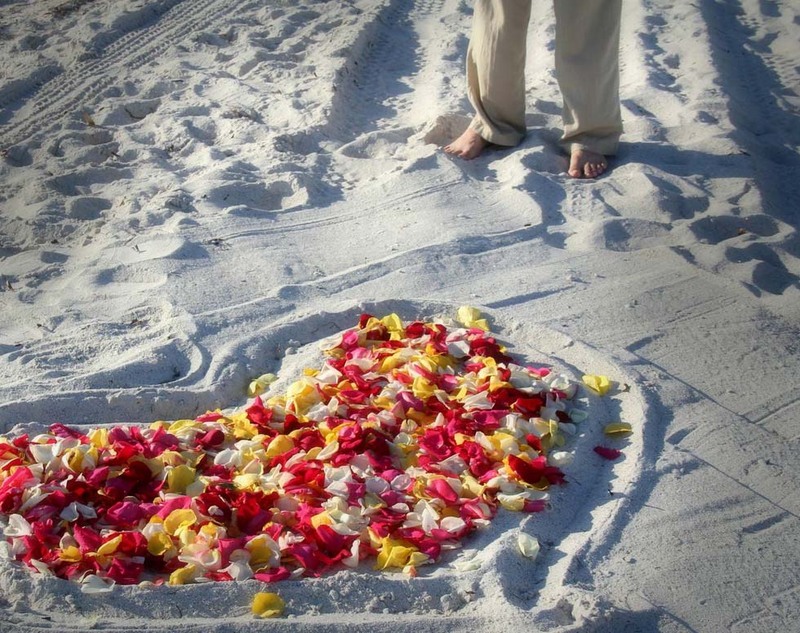 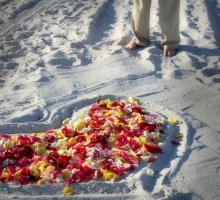 A heart in the sand of fresh petals brings life and romance to the setting. 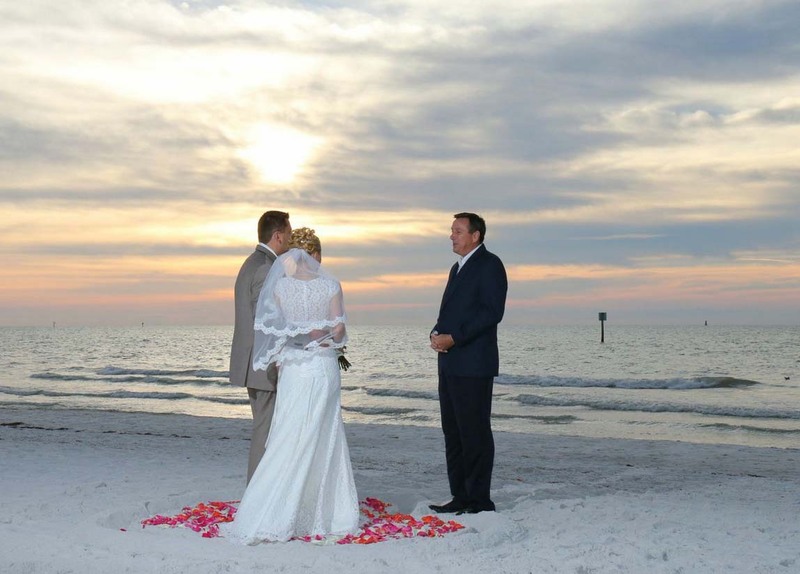 For eternity, you'll remember the beautiful setting and the words you speak to each other on such a special day. 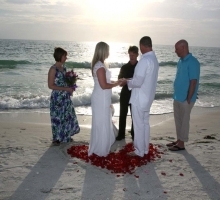 This service is perfect for a vow renewal or a couple who want to celebrate their love in a tranquil and sentimental paradise. 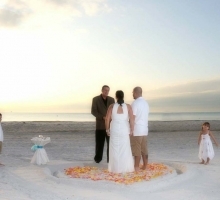 This is ideal for the two of you or less than 10 guests. 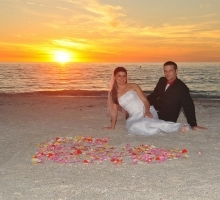 50 photo images uploaded to an online album that can be shared with friends and family. 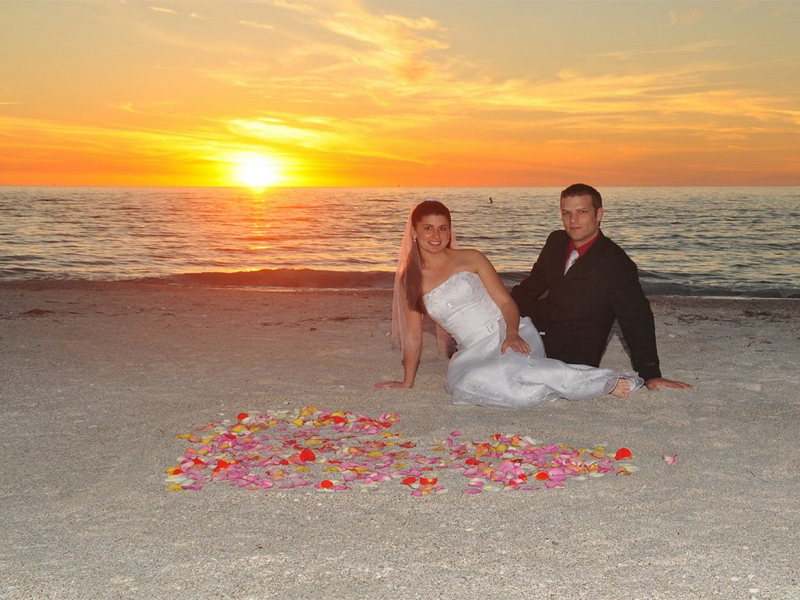 Images available for download. 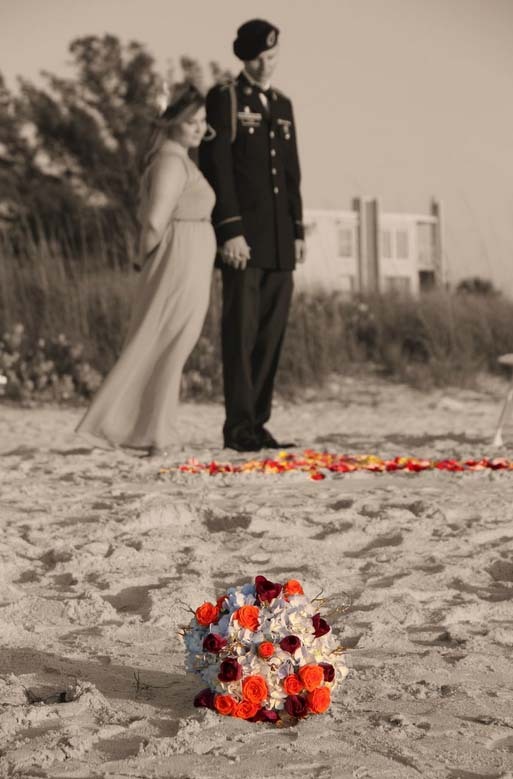 Also order prints, canvas wraps, albums. 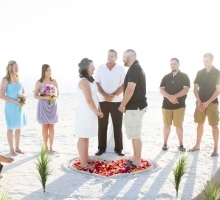 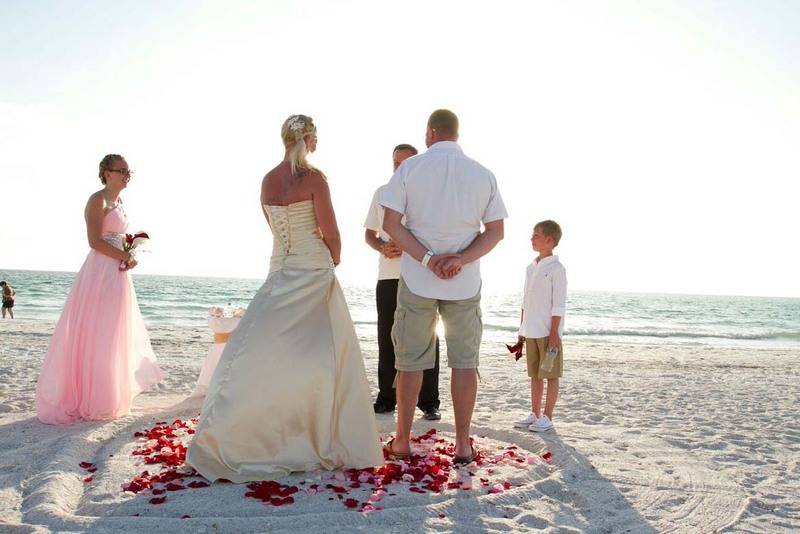 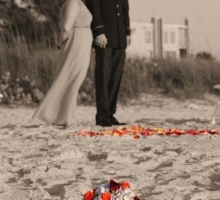 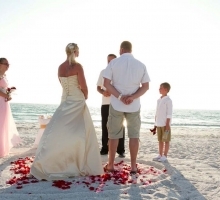 Unity sand ceremony - two small conch shells are filled with sand from the beach where you stand to take your vows. 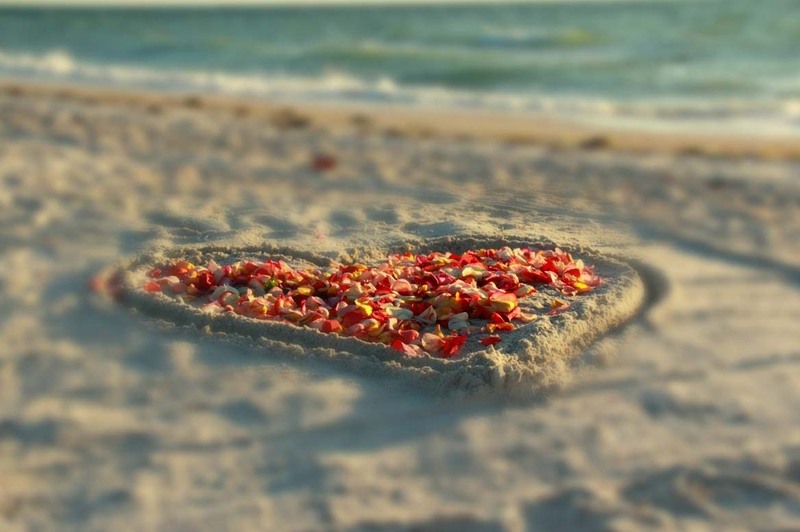 You will each pour the sand into a keepsake heart-shaped bottle, the mixing of the grains signifies the joining of your two lives to become one. 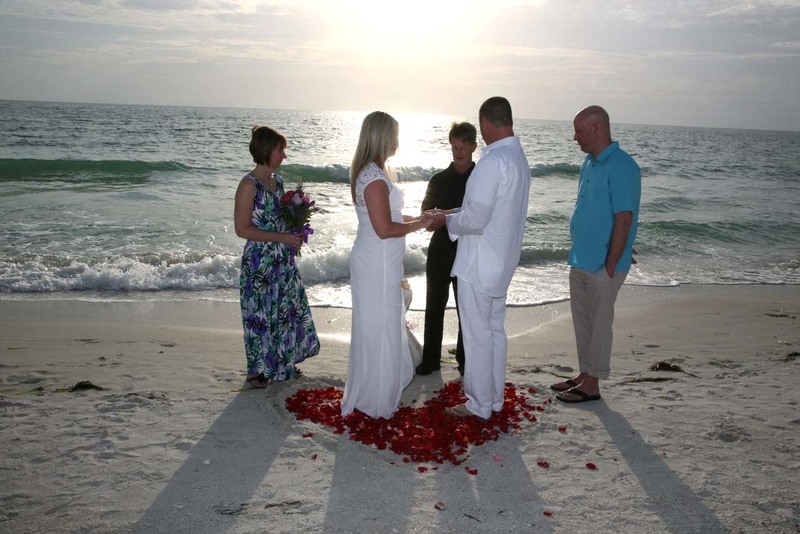 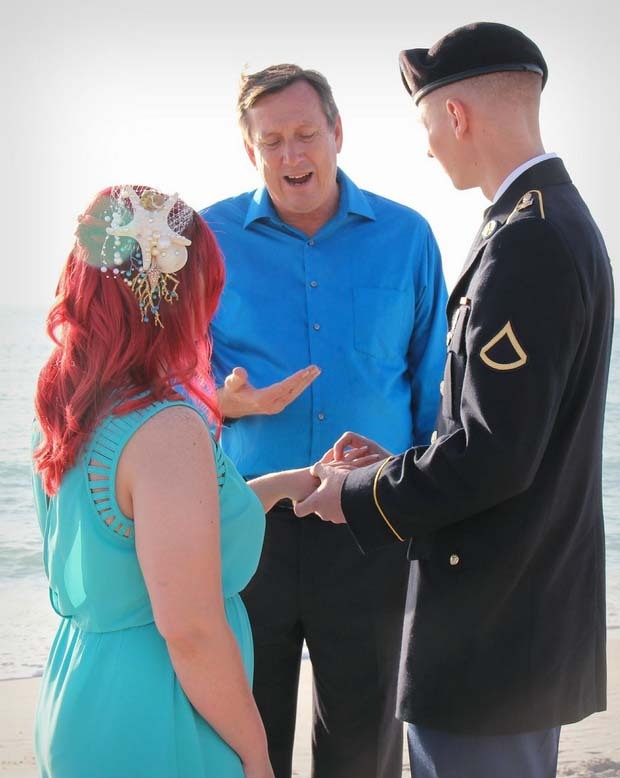 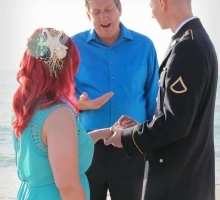 Blessing stones ceremony - a wish or blessing is made over each stone then you and your guests toss them into the Gulf of Mexico. 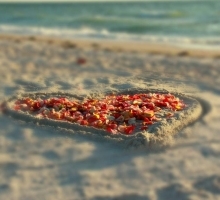 It's believed that the waves will wash the blessings and bring them back to you both. 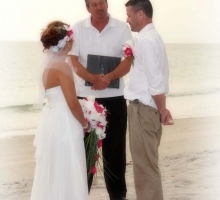 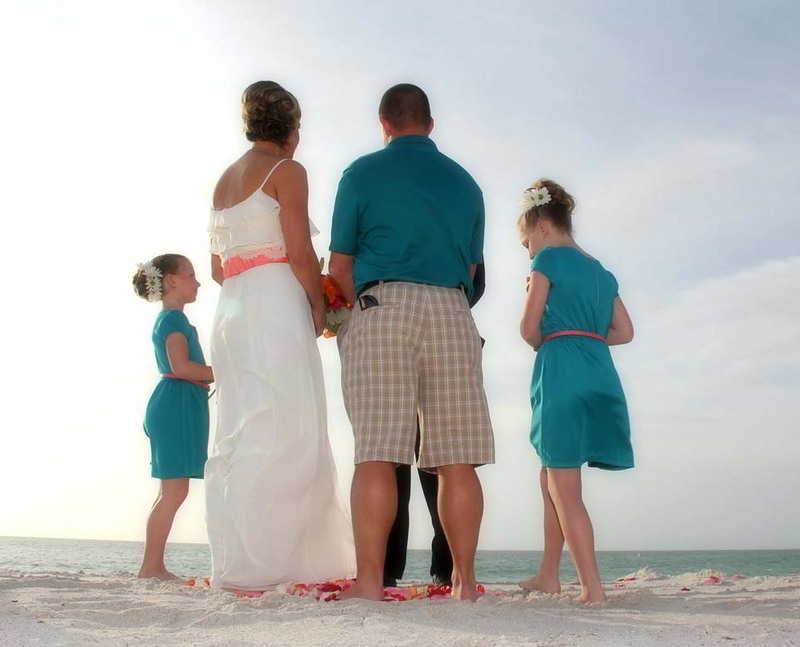 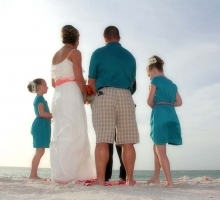 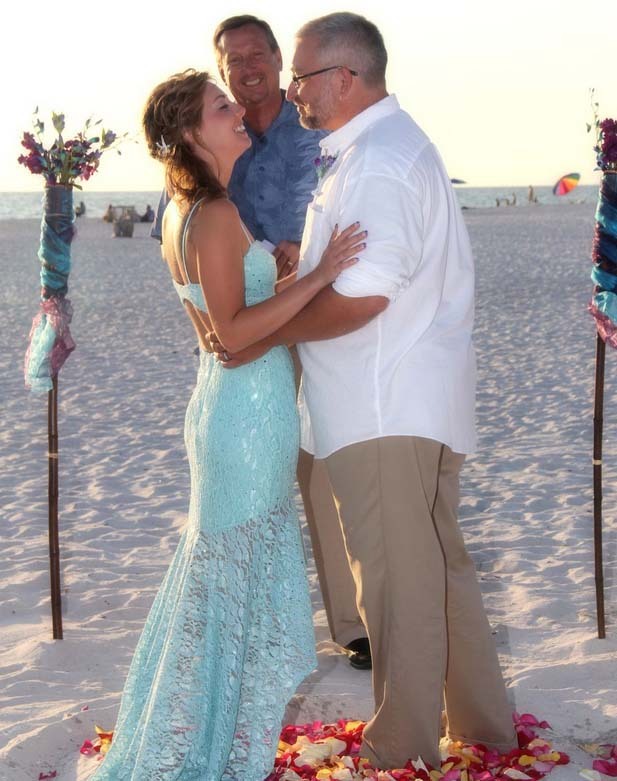 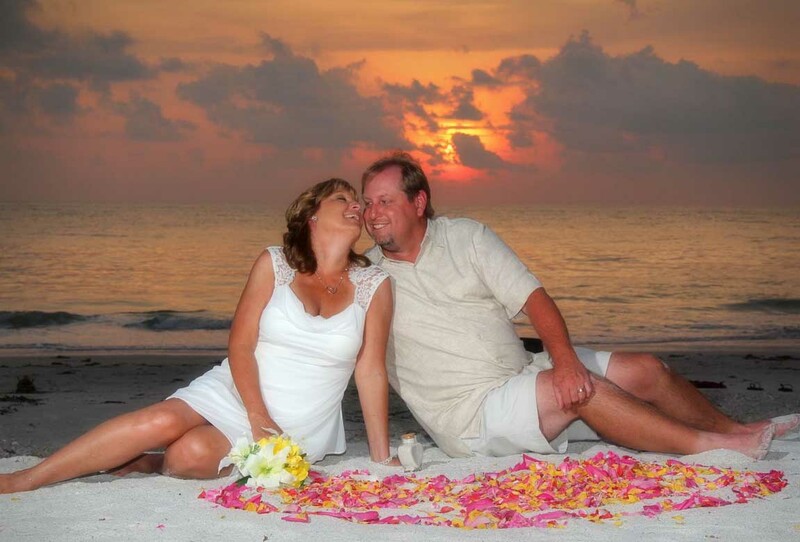 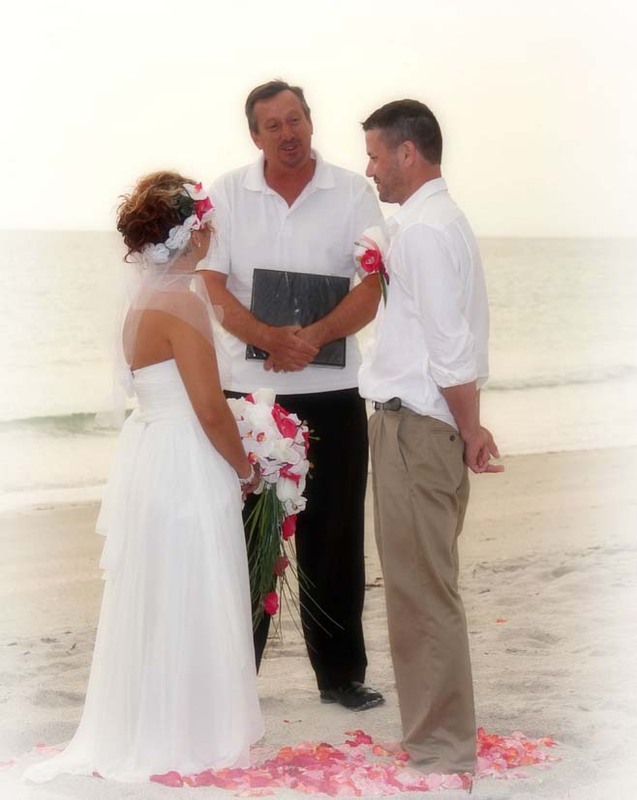 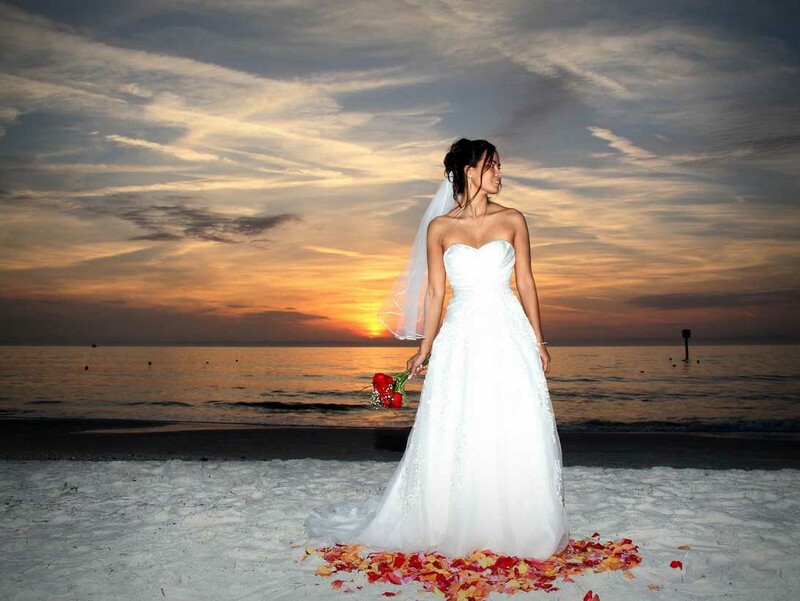 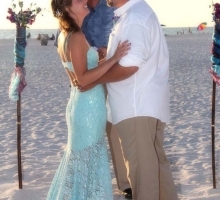 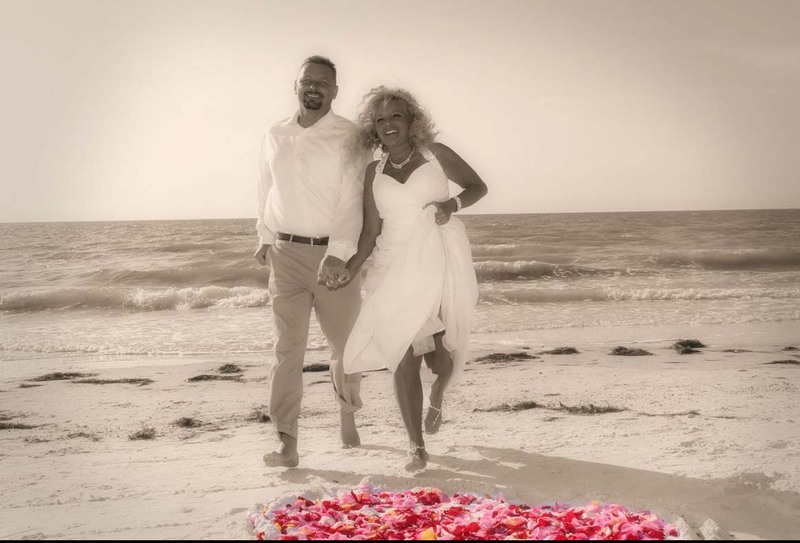 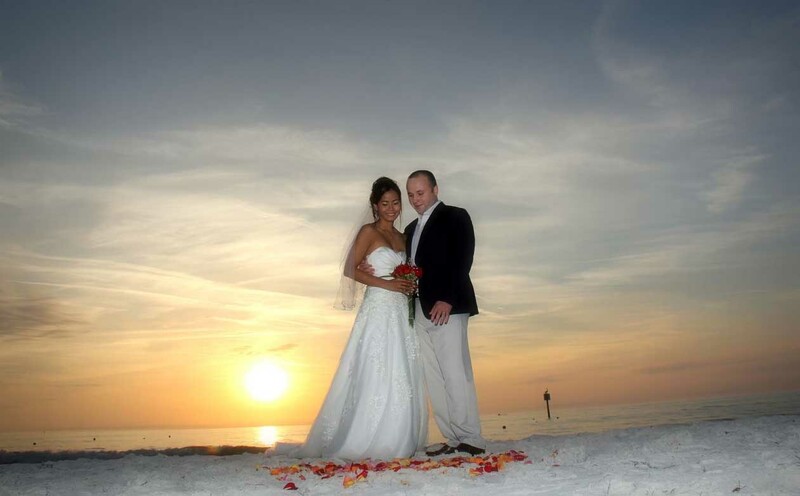 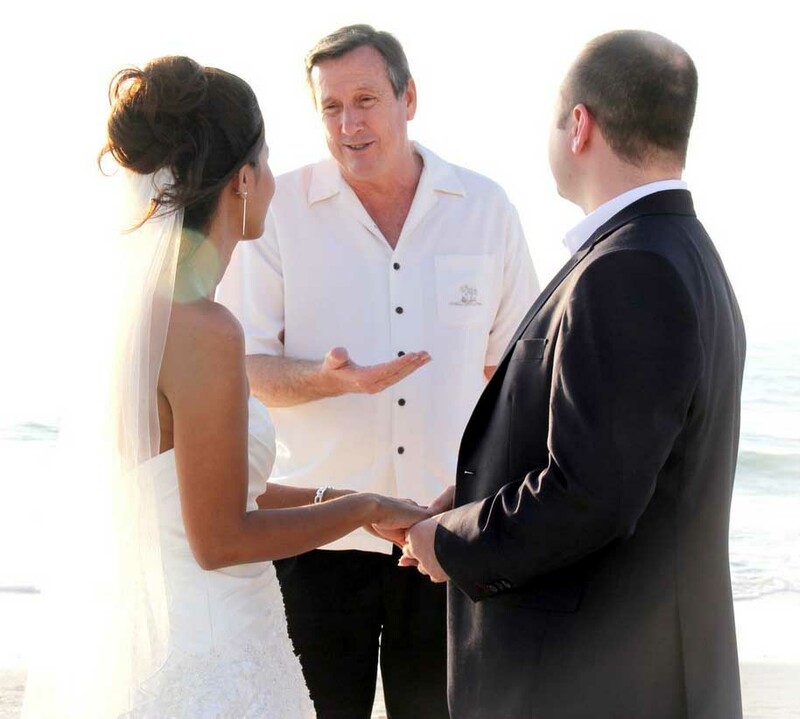 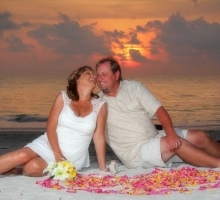 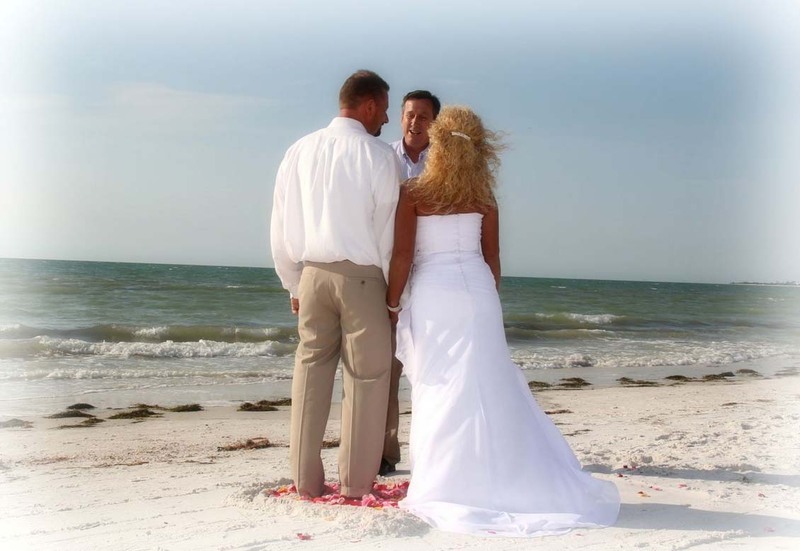 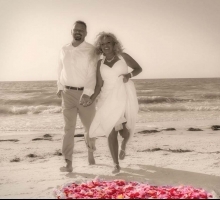 Wedding planner - with local knowledge and expertise to guide you through the entire process of planning your Florida beach wedding with unlimited email, telephone, and personal wedding consultation.